Image Title: Light at the Edge of the World. a beautiful pic you chose a right corner to View beauty of place . Magnificent capture and good composition and colours, good structure. Beautiful architecture,beautiful colors and a clear picture. 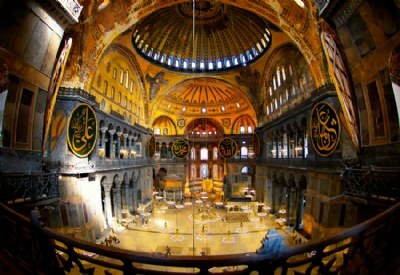 You closed Hagia Sofia in a crystal ball. Wonderful image, dear Saad. Beautiful light in golden tones! Really excellent shot of this beautiful building Saad.I remember it well!